Conan Is NOT Happy and Who Can Blame Him? With NBC's announcement that they were cancelling Jay Leno's Prime Time slot this week, of course the public who actually has a funny bone was all.... but what about Conan O'Brien? "This level of sh- - -iness was not expected," one source said. "He's done a great job for NBC. He moved his entire staff, he moved his family to LA. And five months later, they repay him like this?" As it stands now, the source said, "Conan would be happier somewhere else." O'Brien has yet to weigh in on the peacock network's announcement it was canceling Jay Leno's prime-time program and hoping O'Brien would accept being bumped back to follow Leno's return to the 10:35 p.m. time slot. From the network's standpoint, paying O'Brien several million more dollars annually still would be preferable to being forced to pay the TV personality an estimated $20 million per year for the remaining four years on his contract, and have him do nothing. Reportedly, even if O'Brien did agree to jump to Fox or ABC -- as have been floated as serious possibilities -- NBC still would have to shell out any differential that might remain between O'Brien's new contract and his old NBC deal. For example, if Fox or ABC paid him $15 million annually, NBC reportedly would still be obligated to pay him an added $5 million to fulfill the terms of his NBC contract. 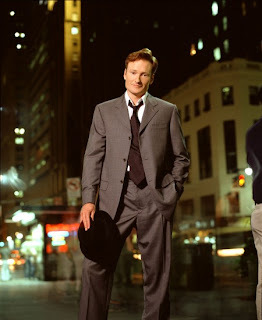 A source very close to O'Brien, who requested anonymity Sunday, said, ''Conan is extremely upset about all this, and how the news leaked out and how it has been handled by NBC -- so far. While he understands Jay's show hasn't worked, he thinks he's being made the fall guy,'' even though O'Brien's own ratings performance in the "Tonight Show" time slot has been very disappointing. I was driving one morning in my pj's to get my drive-thru Starbucks and I hear them talking about shoes. This was early a.m. and the announcer on the AM dial was marveling over her PA's hot pink heels. Said that her story about them was so cool she had to have her on air. As I wait in my Volvo for my Grande non-fat 170 degree latte, I heard all about it. 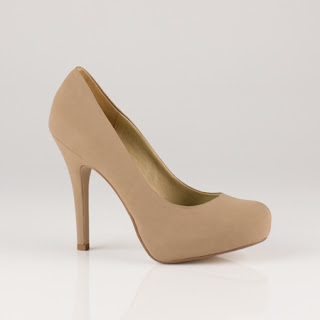 It's a shoe club ladies. Just like that music club a lot of you got suckered into, back in the 80's and 90's, "Columbia House", it's a monthly subscription. Only this time YOU GET SHOES, and if you don't want some that month, you are totally fine to pass. Just as long as you say so by the 6th of the month. Not like those random cd's, cassette tapes, 8 tracks, that just kept coming and coming. This is no obligation, easy peasy stuff. You see you fill out a questionaire. They ask you which celebrity style you prefer over the other. Which runway look you covet over the other. That kind of thing. In a couple days, Shoedazzle's fashion stylists send you 5 - 6 picks of shoes that they think you will want to have that month. You choose a style, they ship them to you, all for only $39.95. With a return shipping waybill and everything, just in case they don't work out. I swear to god this is not a sponsored plug. Sure the shoes are not Louboutins, but you would spend more running off to Aldo to get a new pair of black pumps for that unexpected funeral/dinner party/wedding reception, wouldn't you? Plus MORE than half the fun is waiting til the 1st of the month when they send you more selections to choose from. So if you keep with the program you will have 12 shoes by the end of the year. However, if you are like me, you won't be able to resist the urge to call their customer service and add additional pairs to your collection. I've been a member for 4 months and have ordered more than my 'one monthly' pair. I've had success with 4 and returned (easily i might add) 2 pairs. And I only returned them because they were too wide for my skinny feet. Compliments galore AND a fun story to tell. 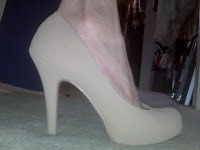 Now when I walk in my closet, I have 6 new pairs of heels that make me happy happy happy. These are shoes that if you get caught with in the rain, who gives a sh!t? You can go for that really trendy style you've been eyeing but didn't want to drop the bucks on. Hell, if you wear them once, it's still worth it imo. It is truly like Christmas, once a month, all year round. It's free to join Shoedazzle and you aren't charged a fee until you pick your first pair of shoes. So what are you waiting for? I know you are all wondering, "Leisa, where the hell do you wear all those shoes?". I'm a Mom so really, am I going to rock heels to Safeway with my two year old in tow? No. But they look great in the closet, they make great 'valet parking shoes', when I actually do go to dinner and besides, they look f&cking amazing on my shoe rack.